Artistic Citizenship asks the question: how do people in the creative arts prepare for, and participate in, civic life? This volume, developed at NYU's Tisch School, identifies the question of artistic citizenship to explore civic identity - the role of the artist in social and cultural terms. 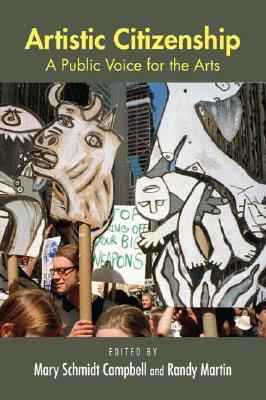 With contributions from many connected to the Tisch School including: novelist E.L. Doctorow, performance artist Karen Finley, theatre guru Richard Schechner, and cultural theorist Ella Shohat, this book is indispensable to anyone involved in arts education or the creation of public policy for the arts. Mary Schmidt Campbell is Dean of the Tisch School of the Arts at NYU. Randy Martin is Associate Dean and Professor of Public Policy at NYU.